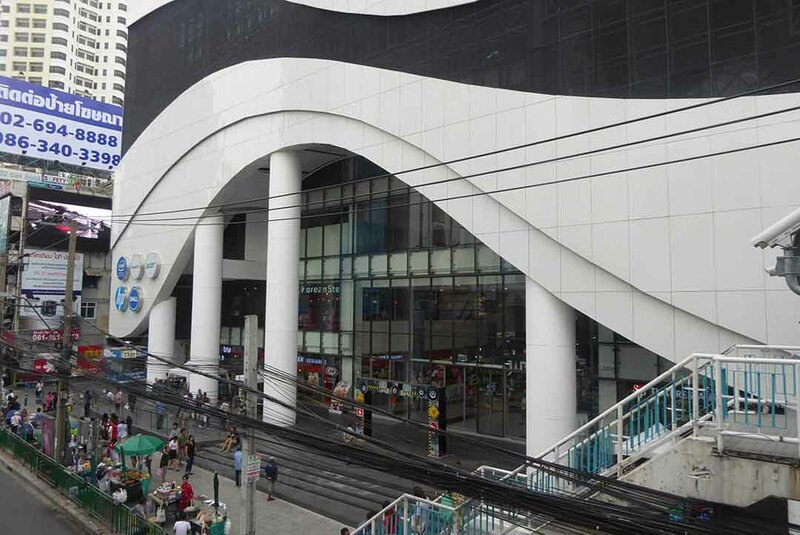 Pantip Plaza is Bangkok’s biggest IT mall selling a wide selection of new and second-hand computers and hardware. Also, digital cameras, tablets, mobiles, printers, games consoles, software, and accessories. The mall has recently been refurbished with a more futuristic look. There is a large IT superstore called IT City which occupies the top floor. 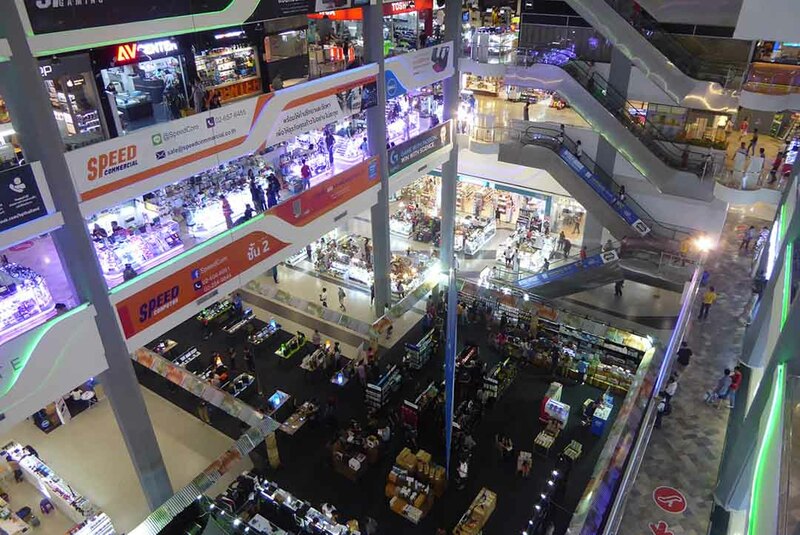 Thai IT chain stores and hundreds of independent shops mostly specializing in specific products occupy the other floors. There are also shops that carry out repairs and modifications. 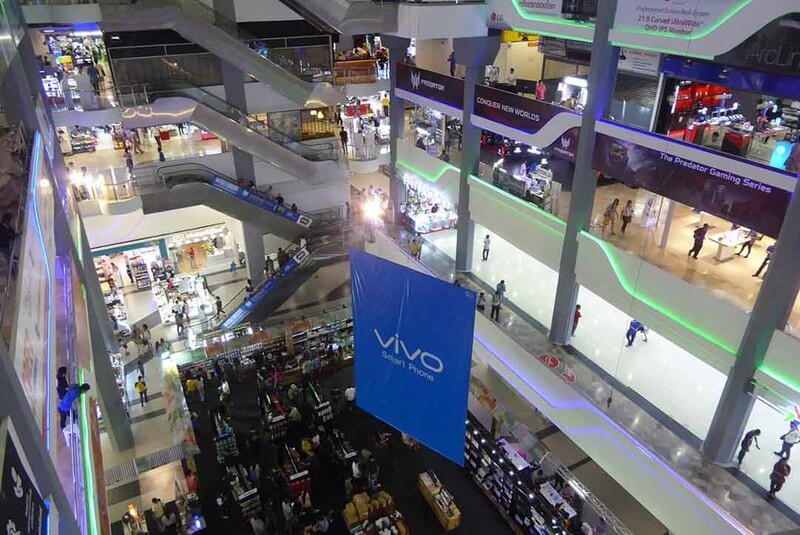 The ground floor has a central court which holds regular promotional events and sales. There are several cafes and fast food joints spread around the plaza. Pantip is notorious for counterfeit software and movies. They are still available despite numerous raids by authorities. If you’re looking for this kind of stuff the trade is now more discreet than before. Don’t worry about finding these products as they will find you shortly after you enter. Location: 604/3 Petchburi Road, Pratunam.